The new generation of two-wheeled plastic bins realize their full potential when handled by a bin lifter such as the ML 220, which can empty well over 1200 bins per 8-hour shift. Running cost are negligible, as all bearings are maintenance free and no flexible hoses or hydraulic cylinders with exposed rods are used. Accident repair costs are also minimal due to the simplicity of the design and the very high ground clearance. A patented rotary lift action is highly efficient and uses little power from the vehicle's engine. The ML 220 achieves cycle times of 7 to 8 seconds with bins weighing up to 150kg. The ML 220 has single rotary actuators, which drive each sub-assembly of the lifter, providing a smooth bin emptying cycle. 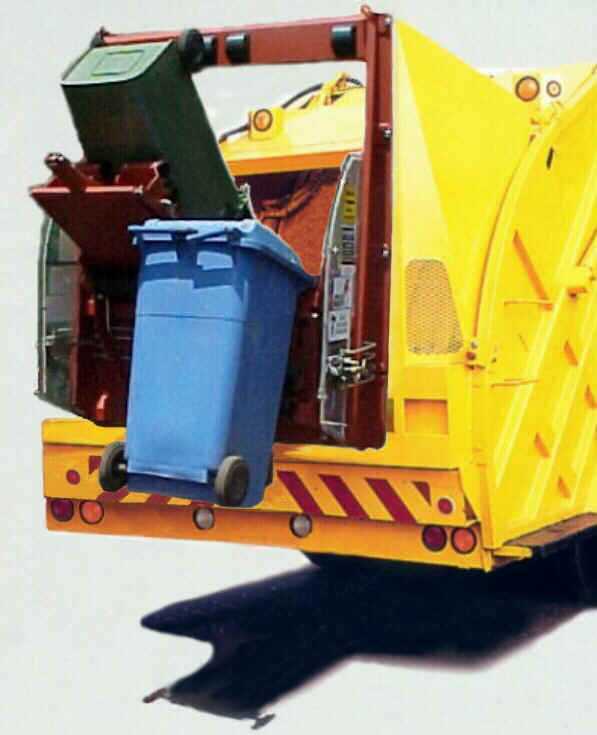 Stubborn refuse is normally ejected on the first attempt due to the large tipping angle. This model is readily interchangeable with other European "high-level" lifters as it complies with the DIN interface standard. Because of the lower mass of the ML 220, it is often the only "high-level" lifter that can be fitted to single rear axle vehicles. 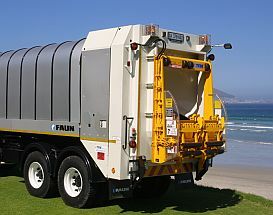 Totally dedicated and optimised for the 240 liter bin only.